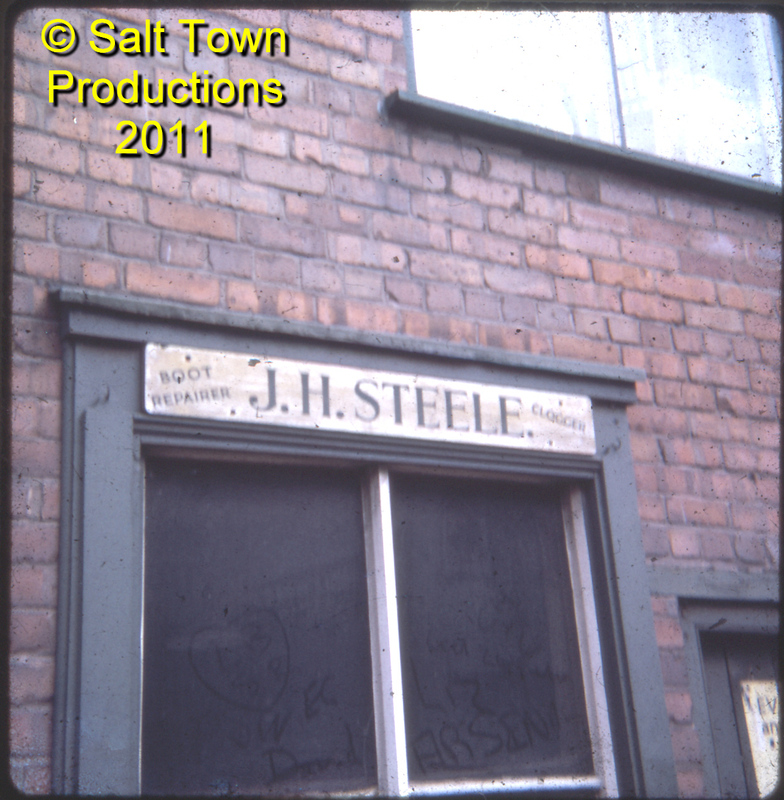 Here's a little curiosity from 1974 - the sign above the window of J H Steele in Lewin Street proclaiming him to be a 'Boot repairer and Clogger'. Clogs were a necessity for salt workers; probably more so than for workers in other industries, because the hot, steamy, salty conditions they worked in made the use of leather or fabric boots impractical - they simply rotted away. 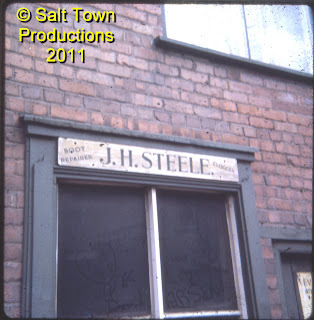 For a while the window shown here, somewhat altered, became the home of the 'Pigeon Post' displaying news and weather bulletins relating to the popular local pastime of pigeon racing, but the last time I looked it was just a window.